Libraries in some form or another have been around since 2,600 BC. No matter what form they took their purpose was always the same - to collect and store documents, information, and literature. Fast forward to today and libraries are still doing this, but in a very different form. During the 1960s libraries began to change and reflect what was happening with technology. Suddenly libraries were no longer restricted to books and papers, the digital age meant computers were introduced.And as technology has continued to change, so has the way in which libraries store their information. Today digital library services are more prevalent than ever before, and this trend will only continue as technology advances and evolves. 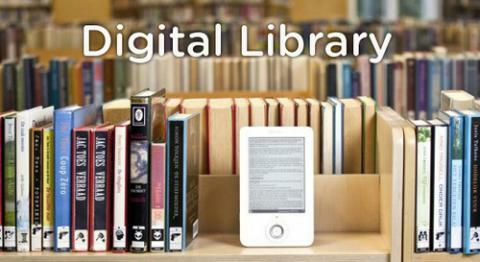 With digital library trend the libraries are moving to be "bookless". It's hard to imagine stepping into a library that doesn't contain any books, but that's exactly where the future may be headed with digital library service. In fact some colleges and universities are already doing this, such as Stanford who made the move to go book-less five years ago. While some may be apprehensive of digital library trend, it’s important to understand that libraries aren’t looking to become less helpful, rather more helpful for people by providing digital copies of their holdings. Digital copies take away many of the restrictions that are posed when dealing with an actual physical book that can be lost, damaged, and may not be available when you want to sign it out. It will be interesting to watch how libraries choose to use this new digital age of document scanning and if in fact the majority end up book-less in the future. With digital library service in the meantime you may want to accustom yourself to reading digital copies of your favorite books! eRecordsUSA is specialized in providing professional Digital Library Services, Book Scanning Services, Document Scanning Services, Photo Scanning Services and more. If you would like to receive a free quote for your project? Call +1.855.722.6669 or eMail us at info@eRecordsUSA.com. eRecordsUSA offer Digital Library Service in following areas of California, Dublin, Contra Costa, San Francisco, San Mateo, Mountain View, Marin, San Jose, Redwood City, Santa Clara, Concord, Silicon Valley, Sunnyvale, East Bay: Fremont, Hayward, Oakland, San Ramon, Pleasanton, Livermore, Milpitas, Alameda, Napa Valley: Santa Rosa, Solano, Sonoma, Fairfield, Petaluma, Vallejo, Pittsburg & Martinez.